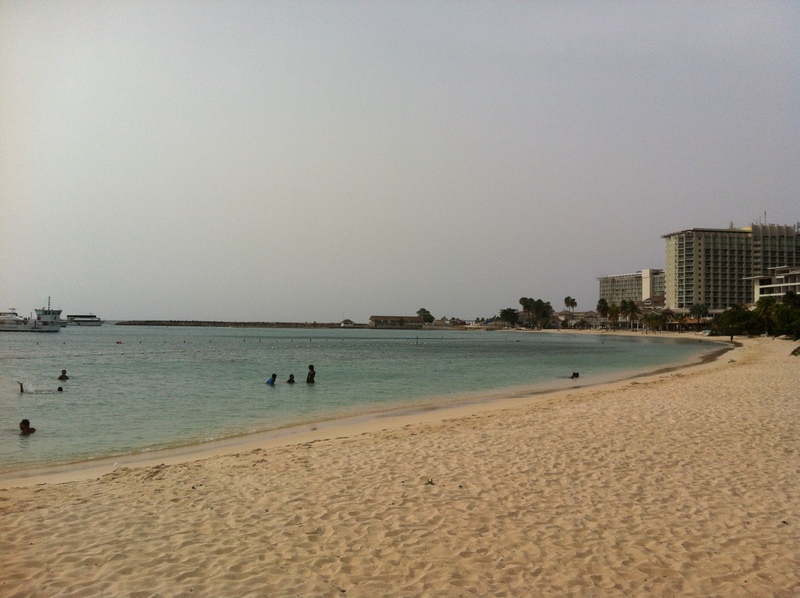 The main beach in Ochi. Despite the fact that Carnival Cruise Lines moved their main docking port to Falmouth, there were still a couple of ships in the harbour. Apparently Ochi now only gets three ships per month. The area seemed busy, however, for the off-season. “Next summer will be worst in 20 years,” bemoans local businessman Joey Issa. 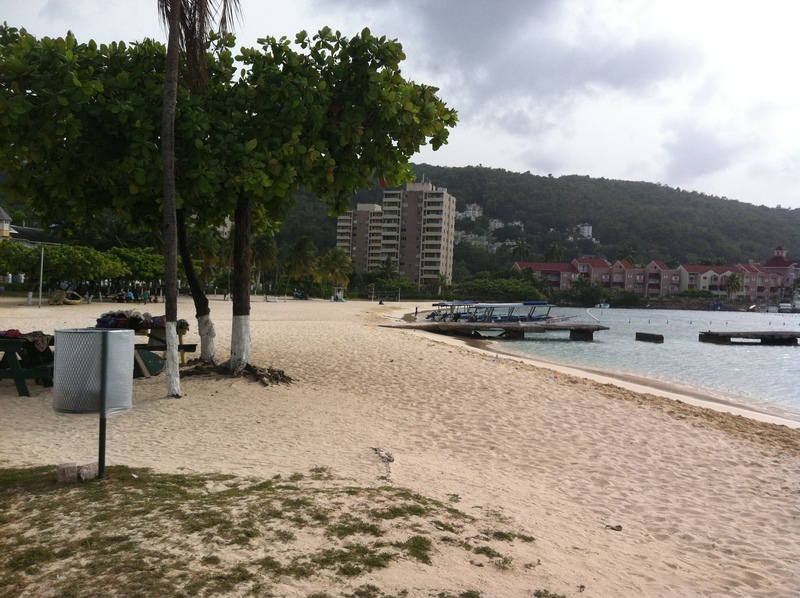 “Ocho Rios, 15 to 20 years ago, boasted more than 800,000 cruise ship passengers annually. Those numbers have dropped to 400,000,” said Issa. I wonder how they are faring now. I also wonder if the problem of harassment has improved. We experienced a couple of aggressive vendors, but nothing we couldn’t handle. The vendors are apparently trying to work out the situation among themselves in terms of who sells what and where, and how. Perhaps it is working? 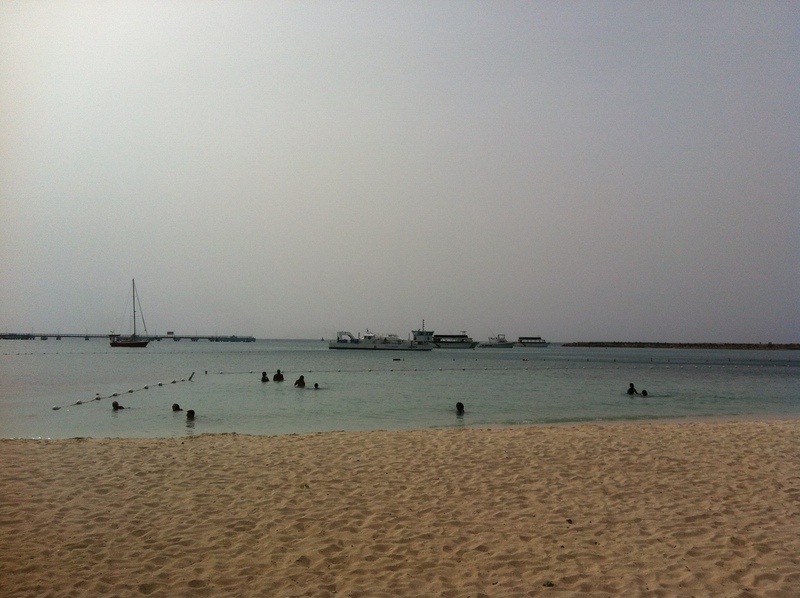 In any case, the beach is beautiful, although I suspect the cruise ships and other large yachts have been dumping waste, because there were few signs of life in the water.